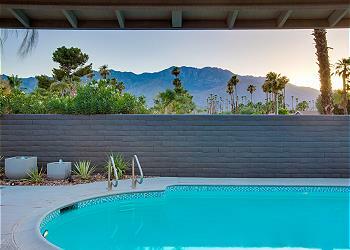 The sights and desert atmosphere of Palm Springs are best enjoyed in a luxurious abode, where you and your guests can indulge in posh living at its finest. 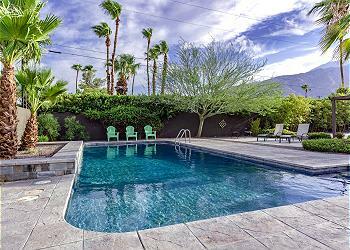 We’re proud to offer the most upscale Palm Springs vacation rentals, pampering you with high-end accommodations and amenities that make your stay that much more comfortable. 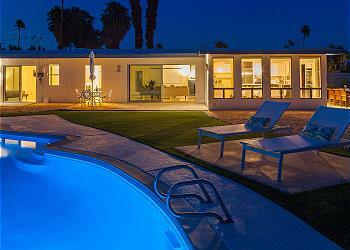 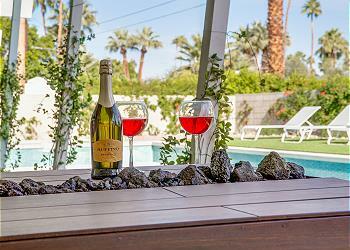 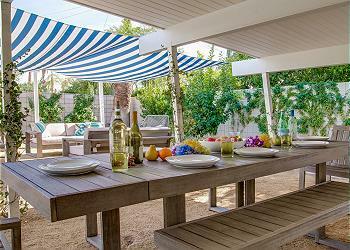 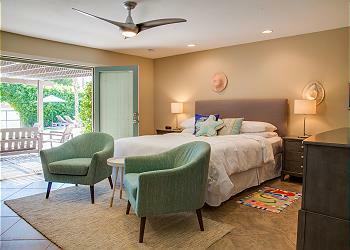 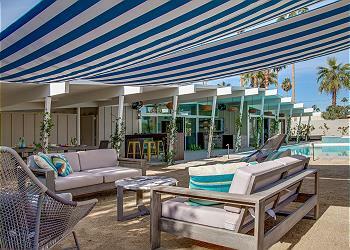 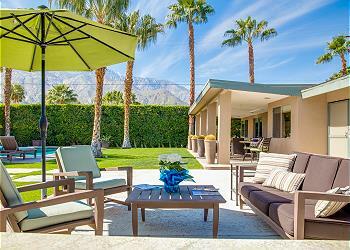 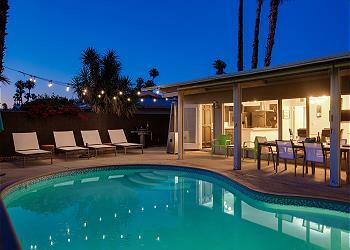 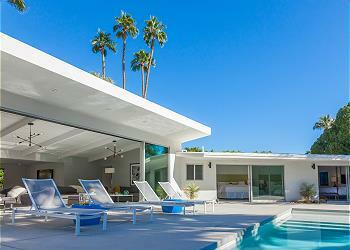 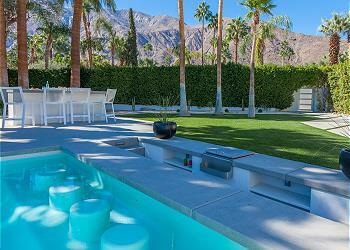 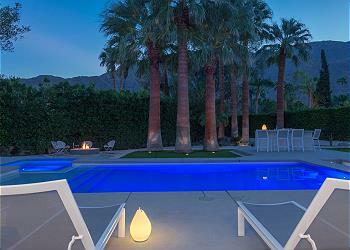 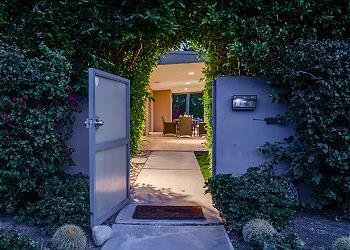 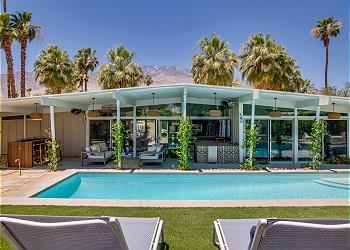 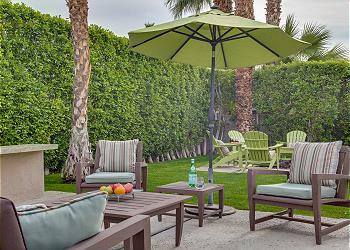 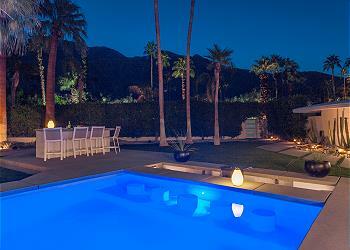 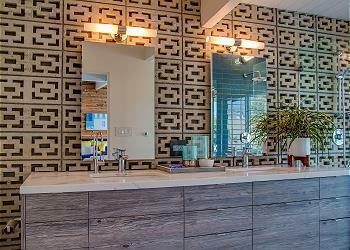 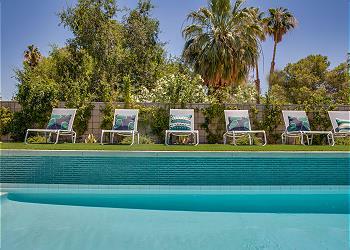 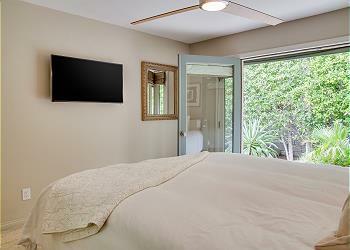 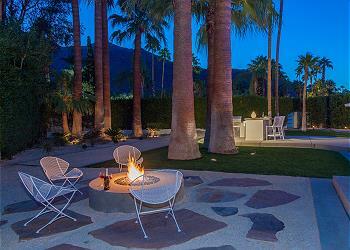 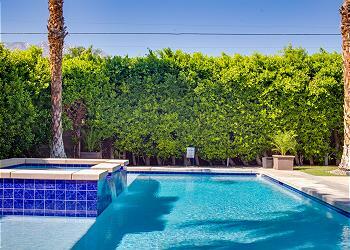 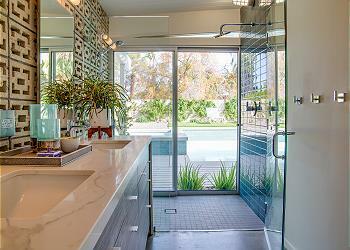 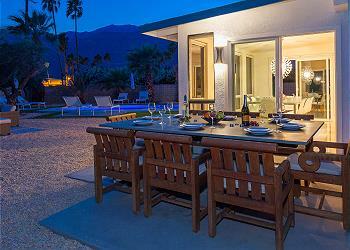 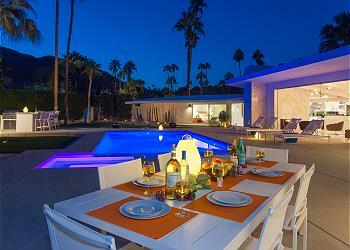 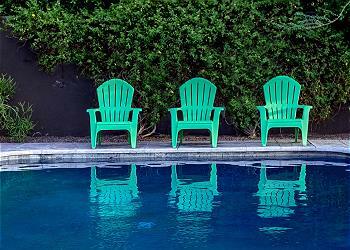 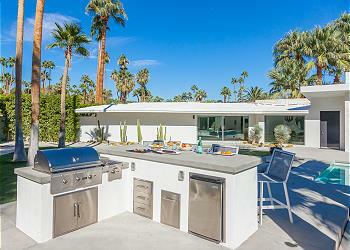 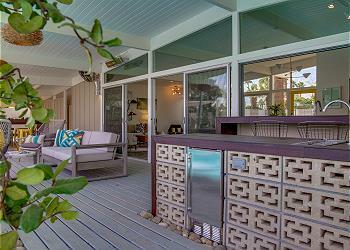 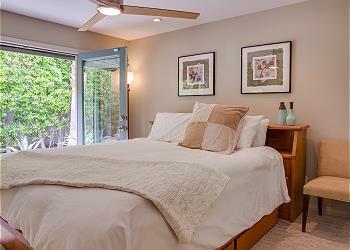 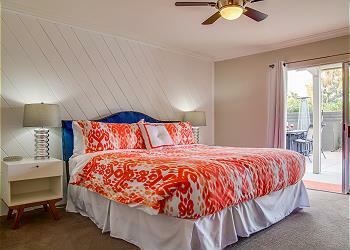 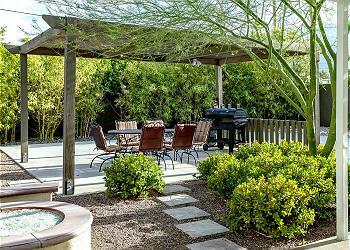 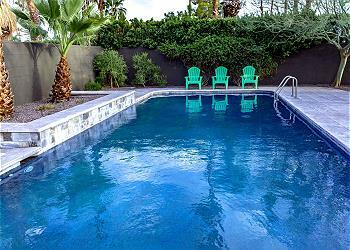 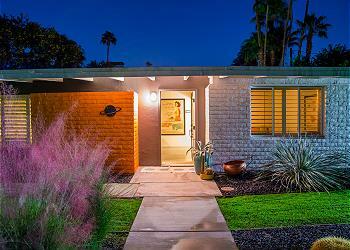 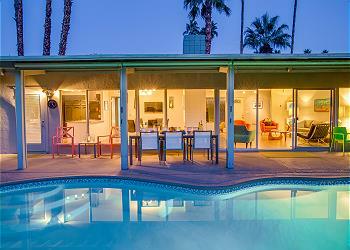 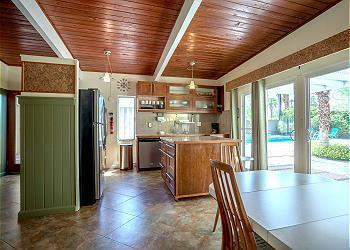 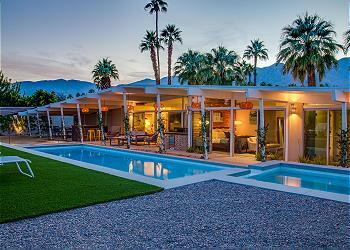 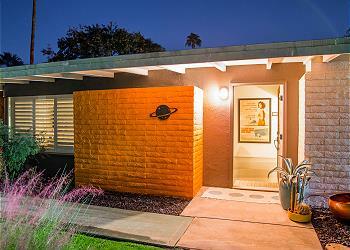 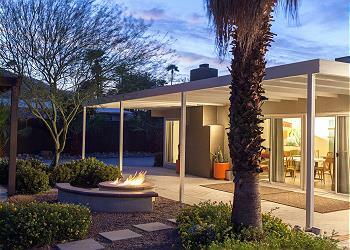 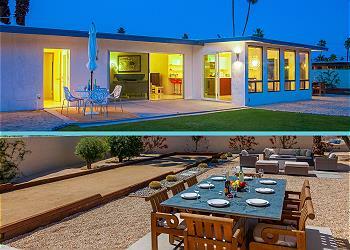 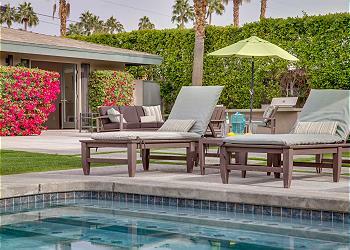 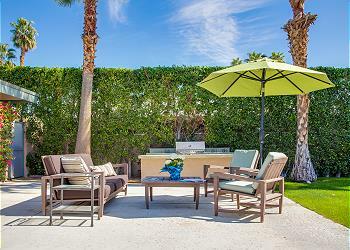 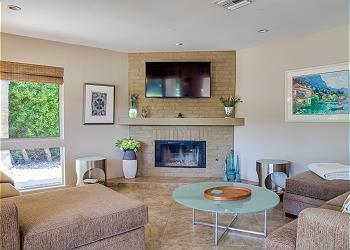 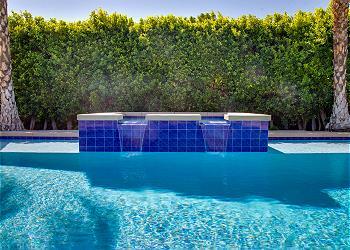 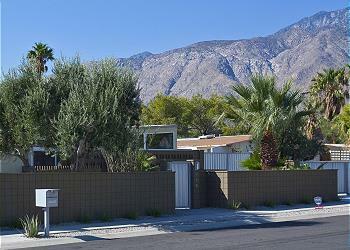 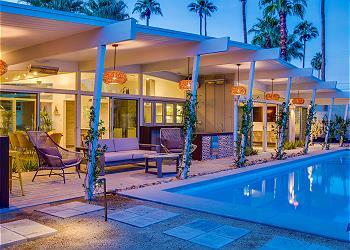 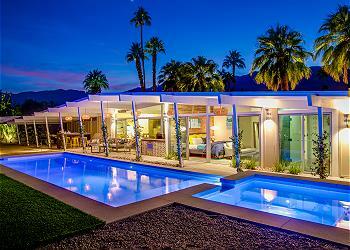 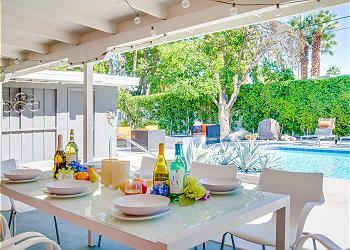 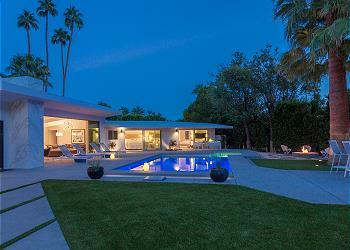 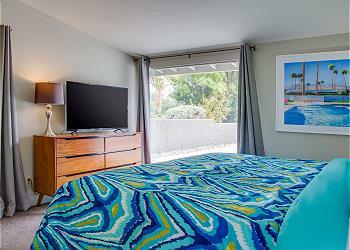 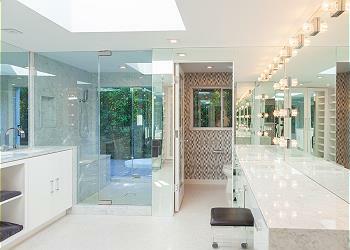 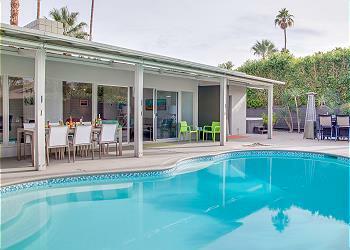 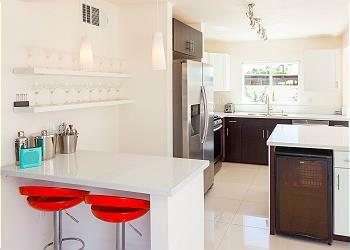 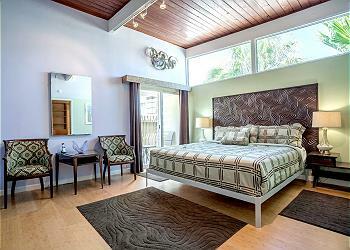 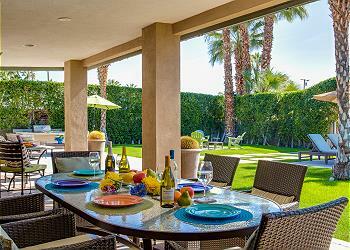 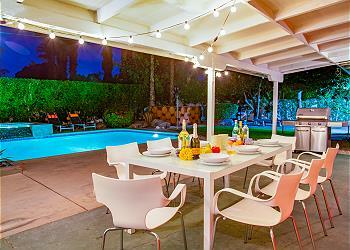 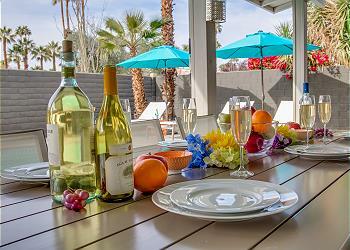 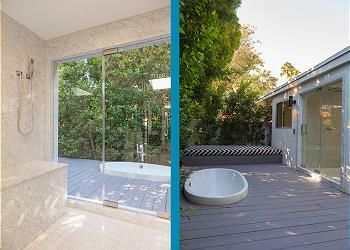 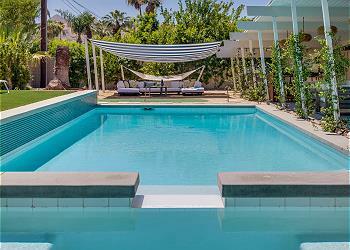 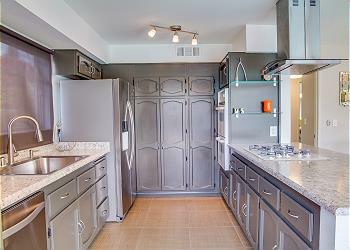 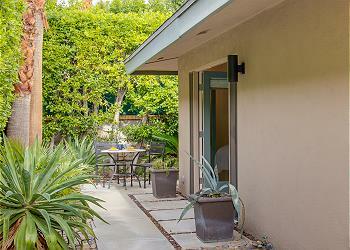 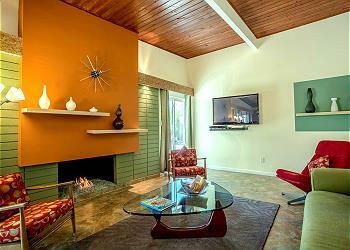 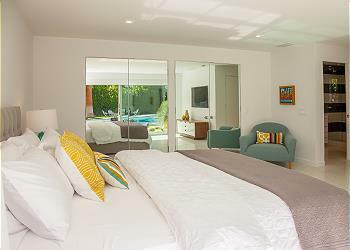 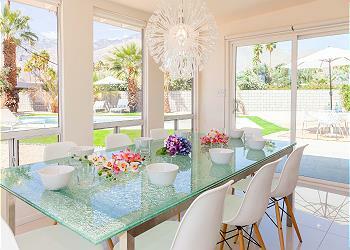 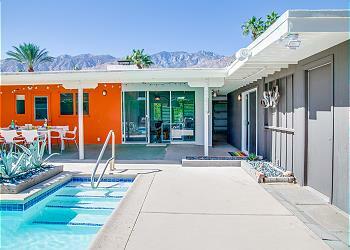 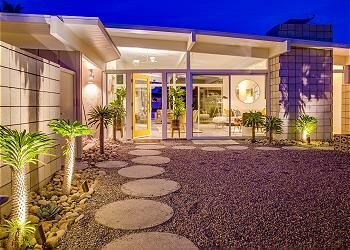 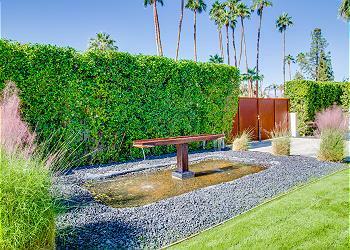 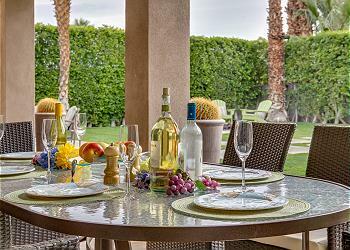 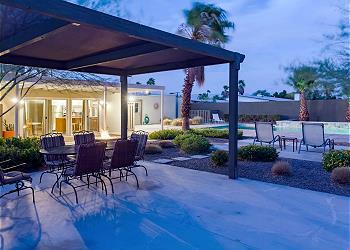 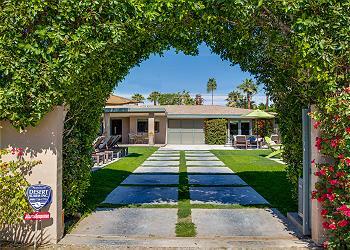 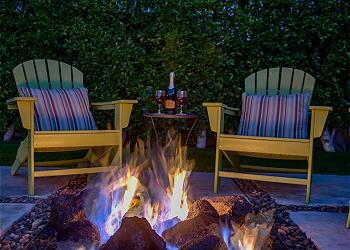 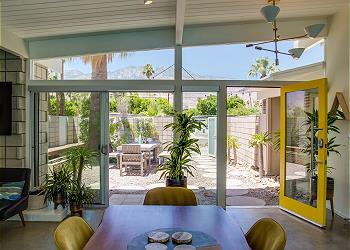 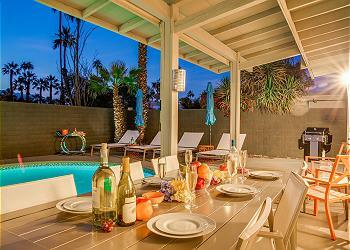 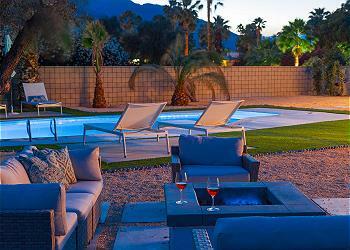 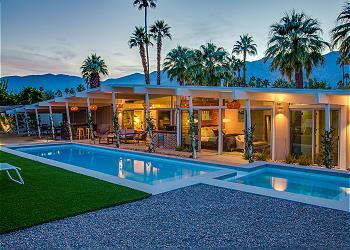 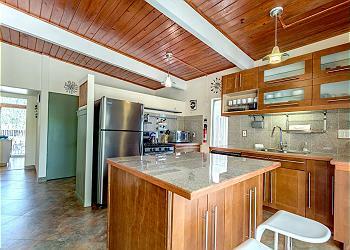 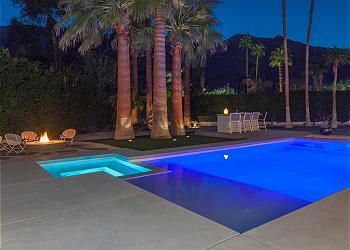 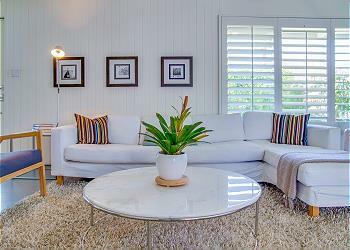 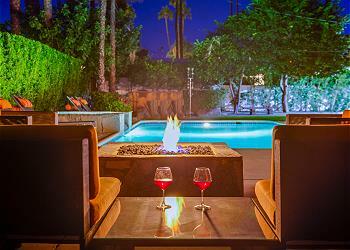 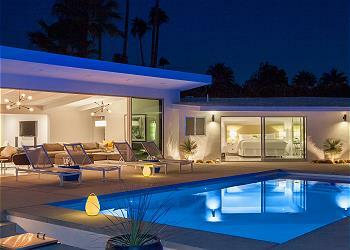 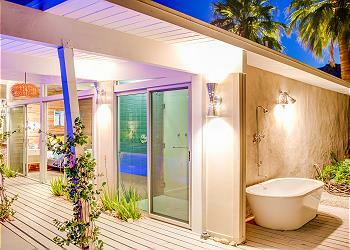 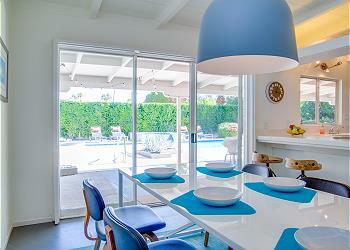 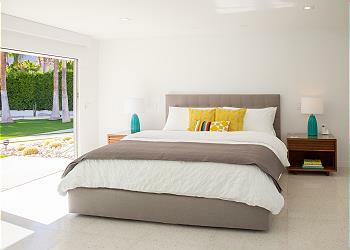 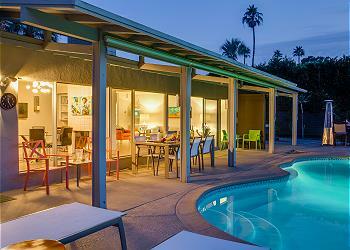 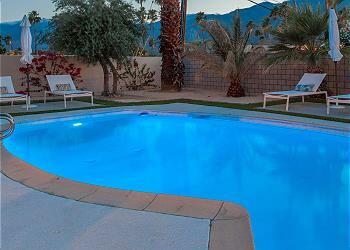 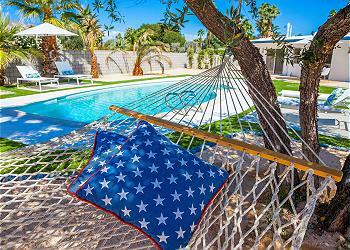 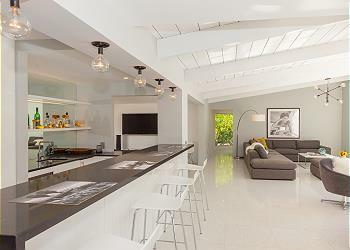 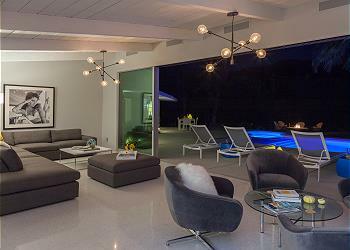 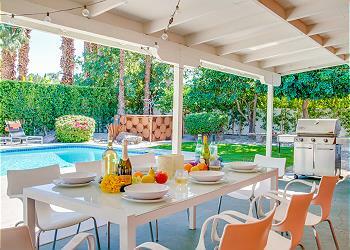 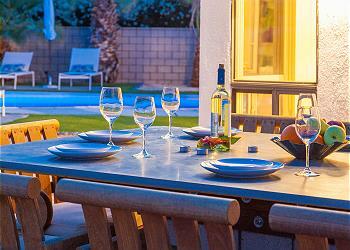 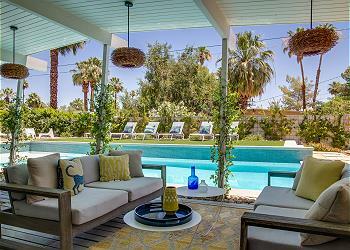 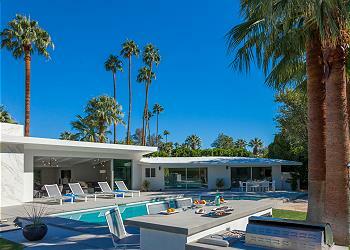 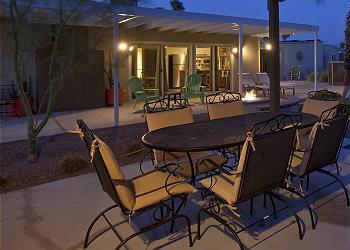 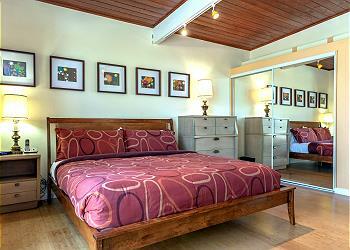 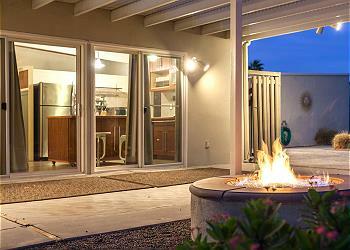 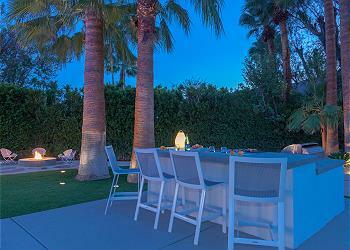 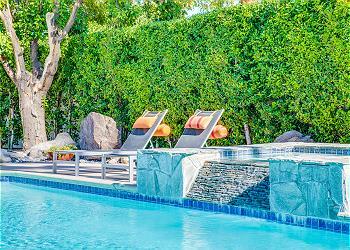 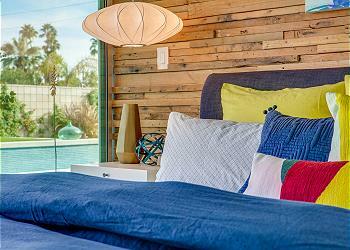 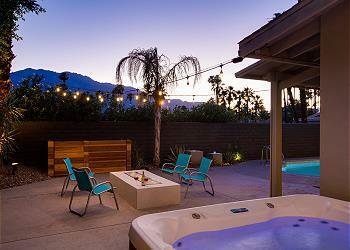 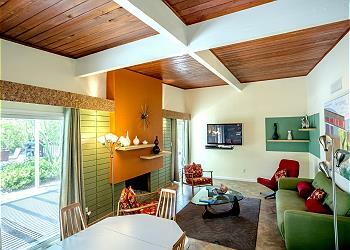 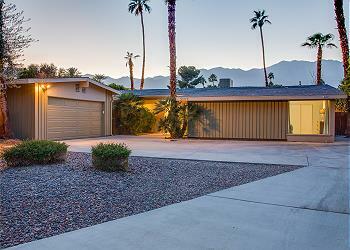 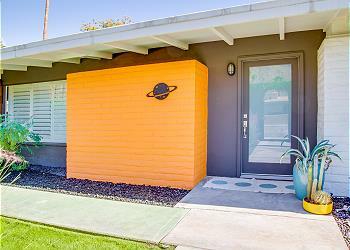 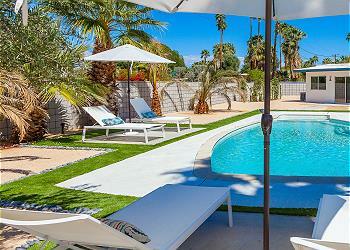 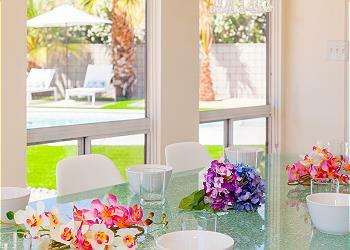 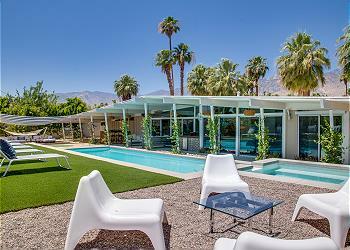 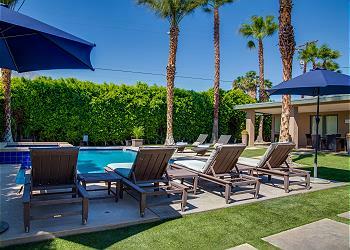 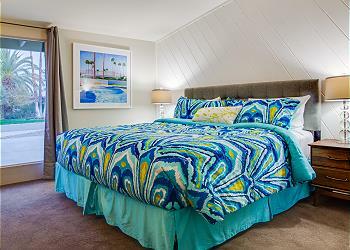 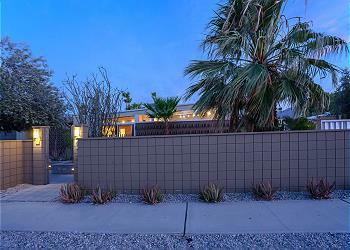 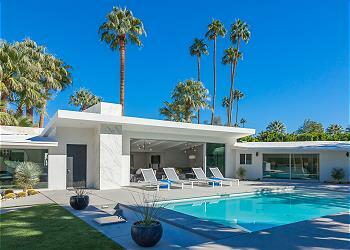 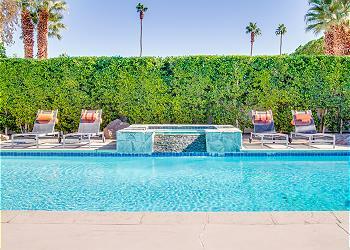 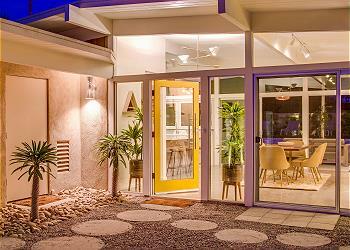 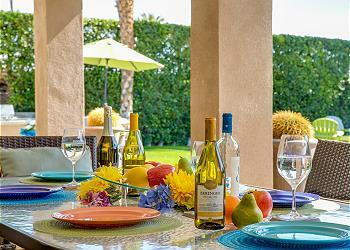 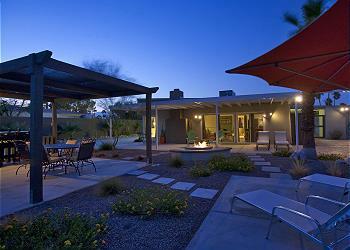 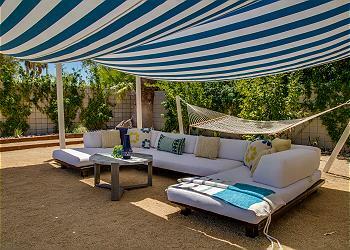 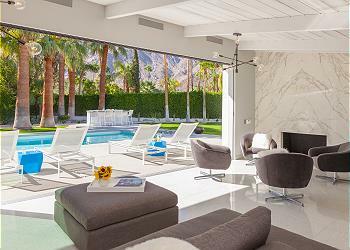 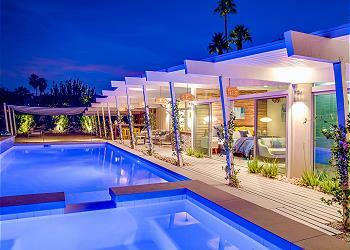 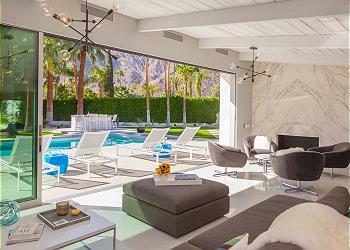 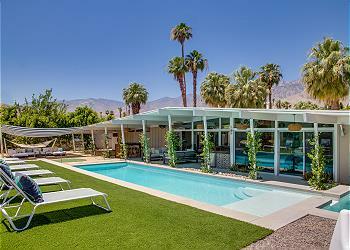 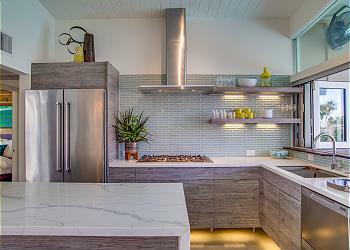 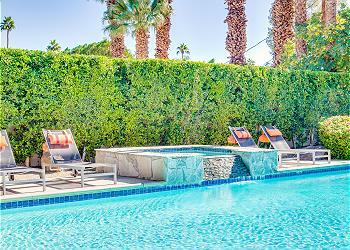 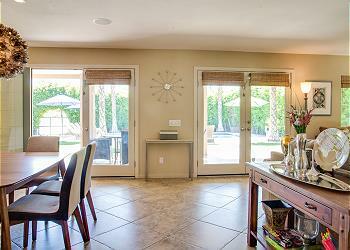 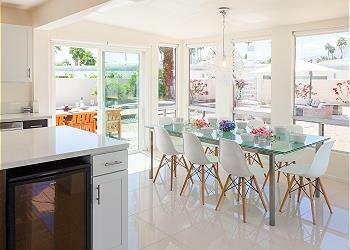 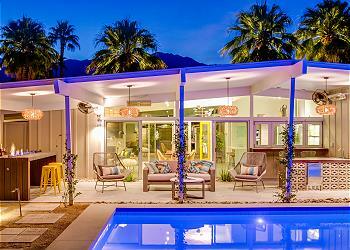 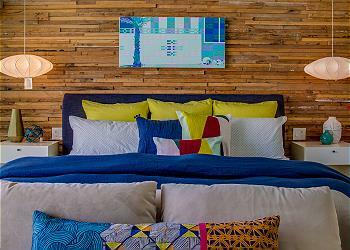 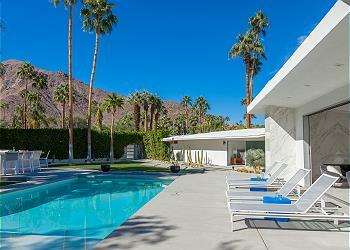 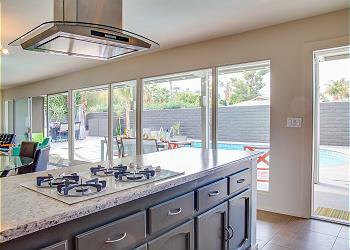 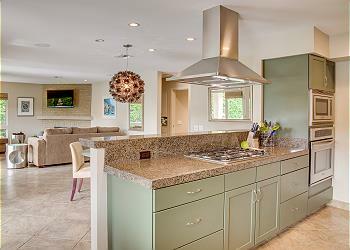 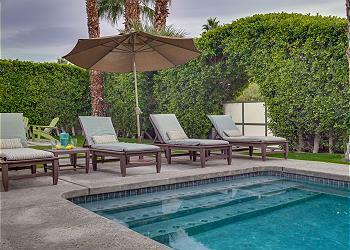 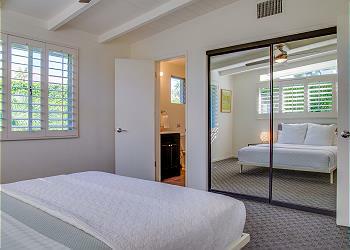 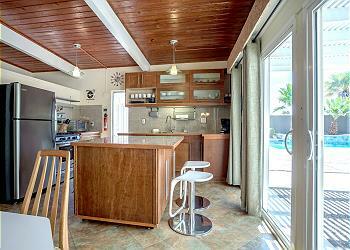 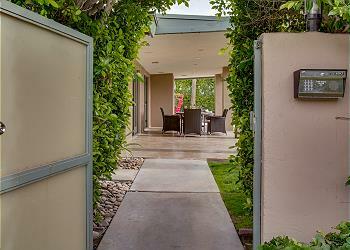 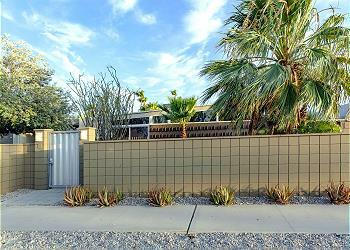 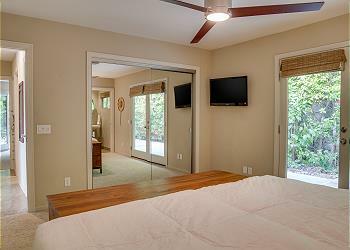 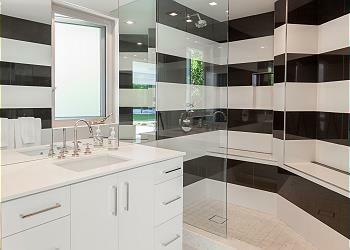 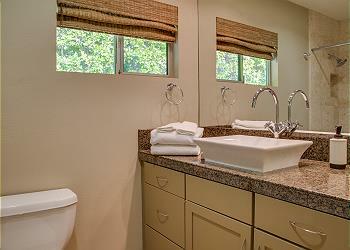 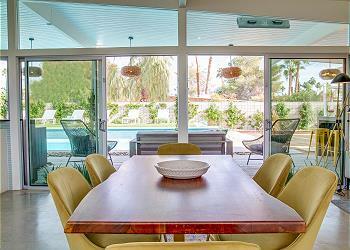 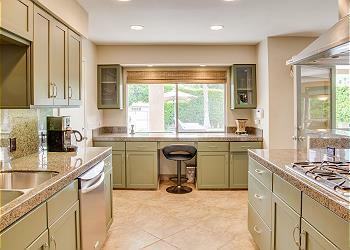 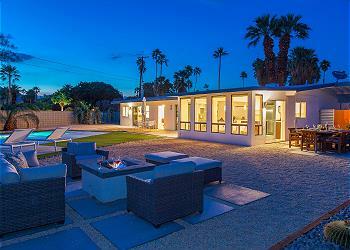 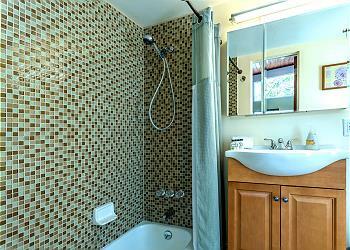 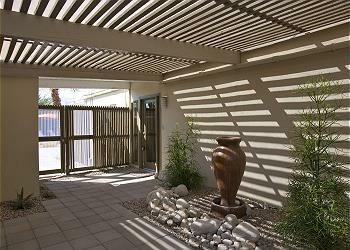 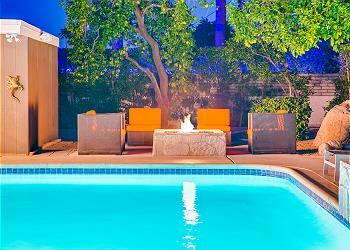 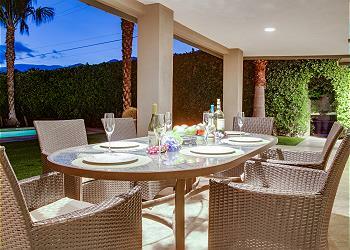 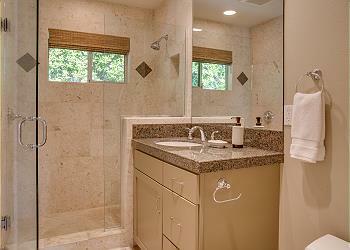 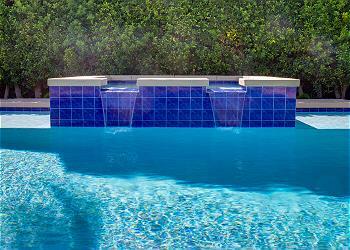 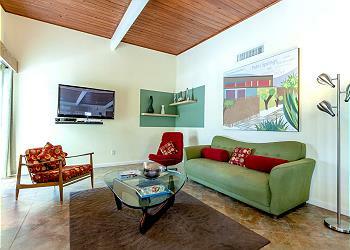 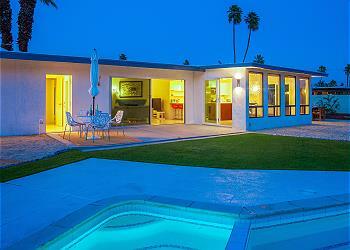 See our selection of Palm Springs luxury vacation rentals below. 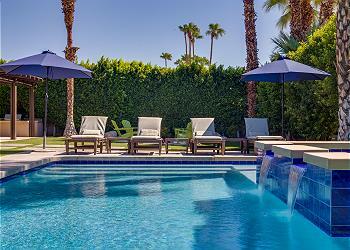 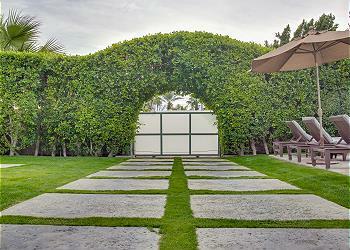 This oasis in the sunny Southern California desert has long been synonymous with leisure and luxury. 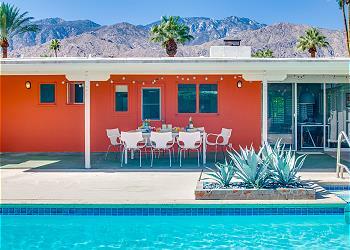 The combination of rich Native American heritage, storied Hollywood glamour, and stunning collection of modern mid-century architecture make Palm Springs a classic destination that everyone must visit once. 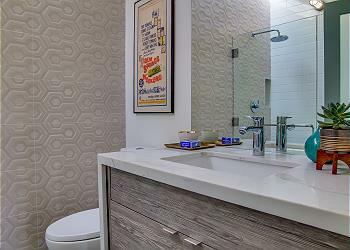 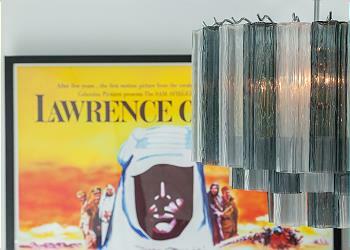 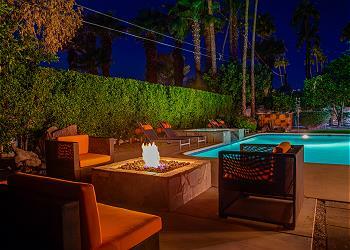 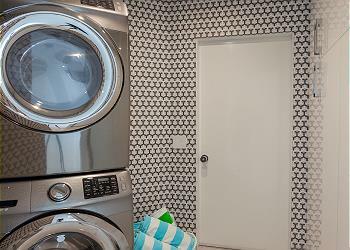 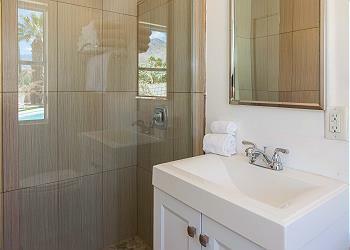 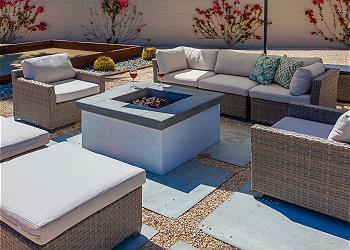 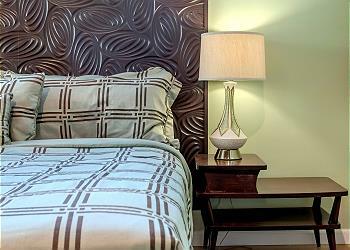 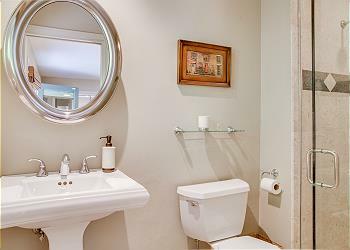 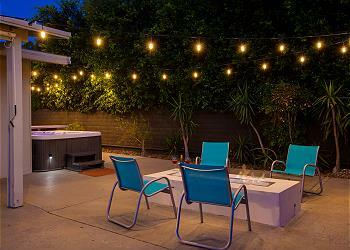 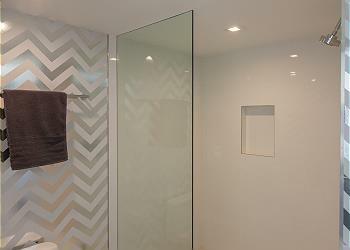 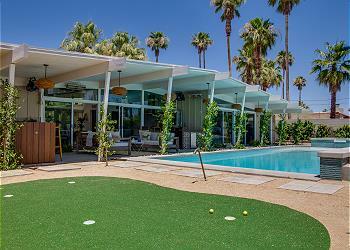 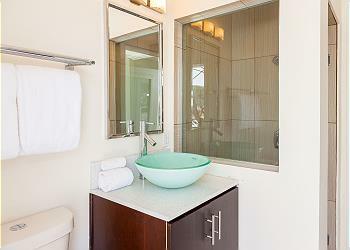 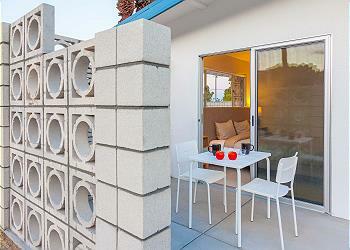 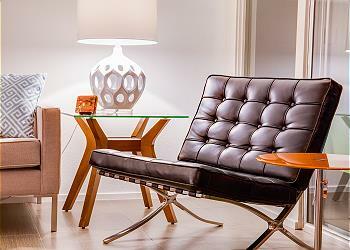 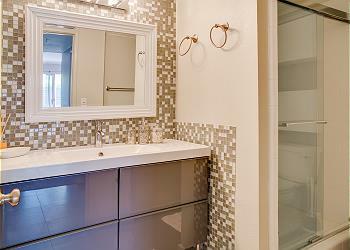 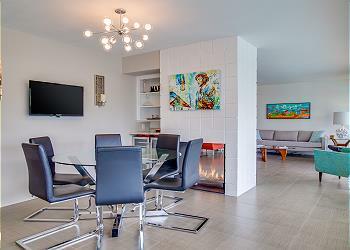 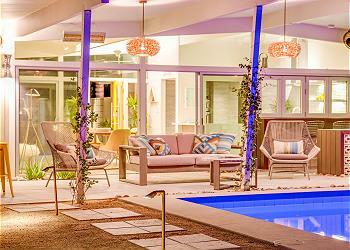 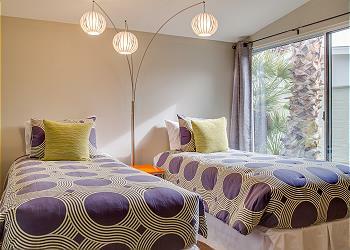 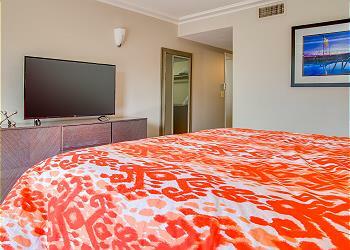 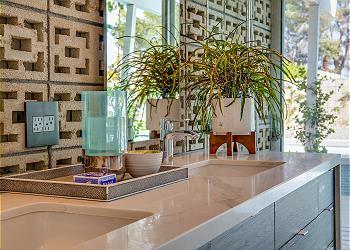 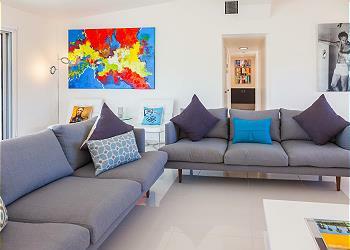 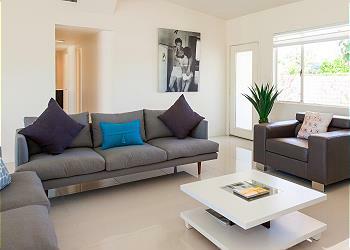 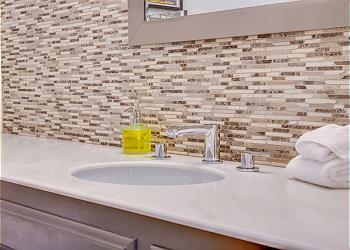 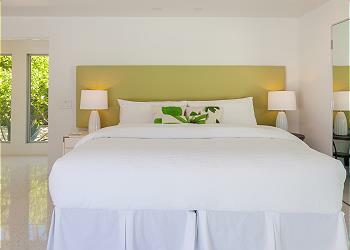 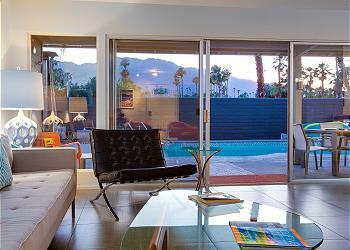 And you know you're going to do it in style when you stay at one of our great luxury vacation rentals in Palm Springs! 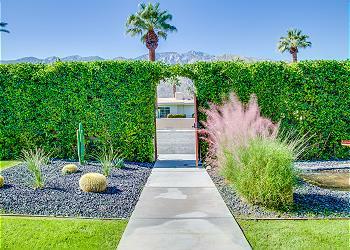 The first thing you can't help but notice about Palm Springs is the stunning desert landscape. 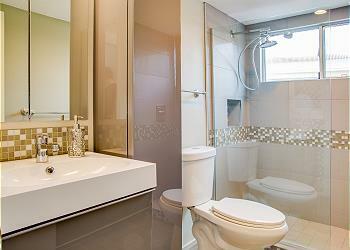 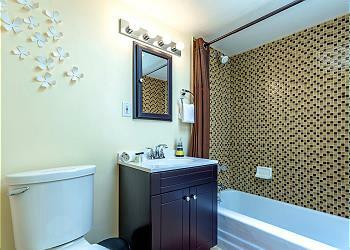 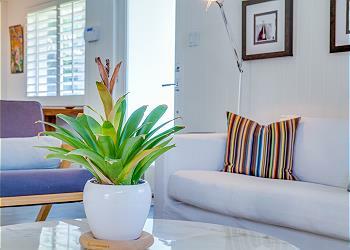 Chances are, it's very different from your home! 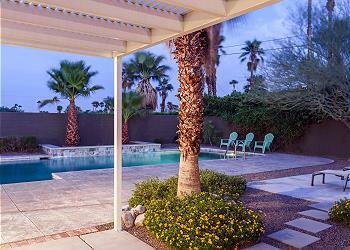 You'll definitely want to explore the outdoors while you're here, maybe doing it early or late in the day to beat the desert heat. 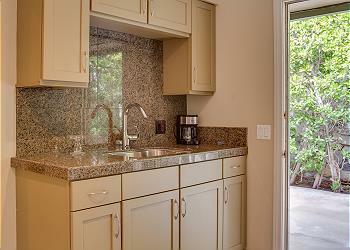 If you like to hike, there are just so many trails to discover. 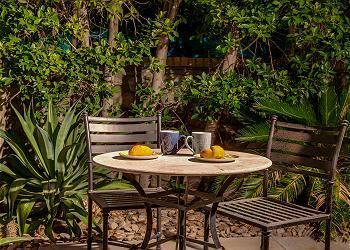 If you prefer a scenic garden stroll, be sure to visit the Living Desert Zoo & Gardens in nearby Palm Desert, or perhaps one of the many date farms in the area. 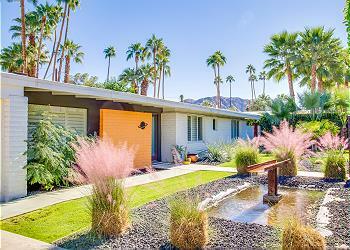 If you really enjoy a spectacle, but without too much physical effort, then the Palm Springs Aerial Tramway to the top of Mount San Jacinto is an absolute must-do! 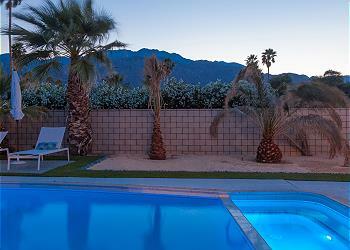 Palm Springs and the surrounding region are a huge destination for sports of all kinds. 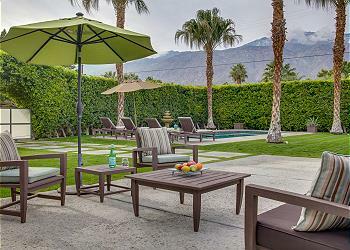 Whether golf, tennis, or polo are your favorites, you'll find abundant options for enjoying them in Palm Springs, either as a spectactor or a participant. 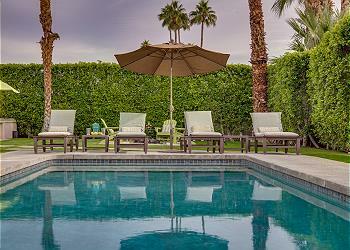 True sports fans will want to mark their calendars for events like the LGPA top-rated ANA Inspiration Tournament, or the BNP Paribas Open at Indian Wells. 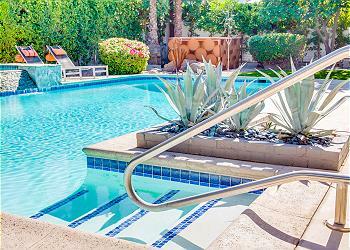 And of course, since it's often hot out, there are ample opportunities for pool recreation in the area, including a Wet 'n Wild amusement park. 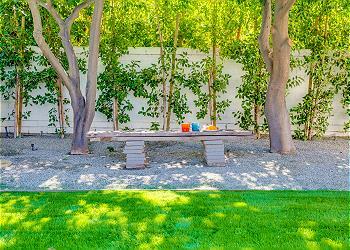 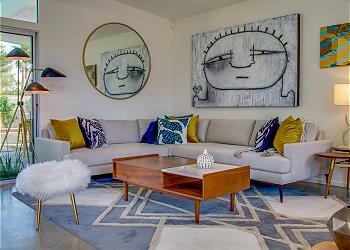 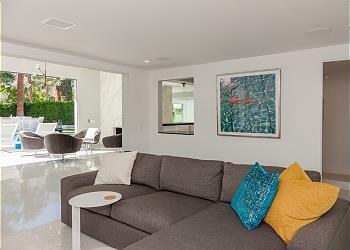 During your stay in one of our Palm Springs luxury homes, you will find the area has a growing reputation as an art destination, thanks to a large number of artists and savvy art collectors who make their home here. 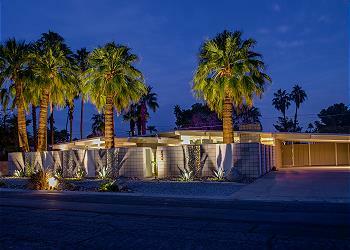 Check out the Palm Springs Art Museum, as well as the annual Art Palm Springs festival, to get your fix. 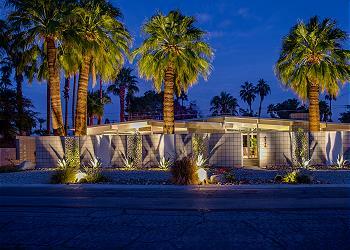 There are also architecture tours available in Palm Springs, for those who prefer their art to be of the habitable sort. 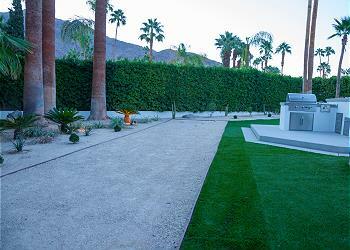 And of course, film lovers will definitely want to attend a screening or two at the historic Camelot Theatres, where many film festivals are held throughout the year. 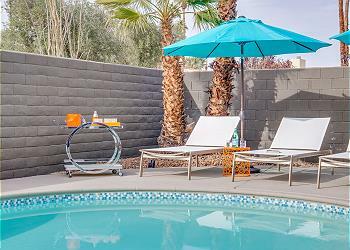 In case you need a little extra help relaxing, outside of one of our luxury vacation rentals in Palm Springs, do remember that the ares is full of great day spas where you can soak in the natural mineral waters, as well as have a great massage. 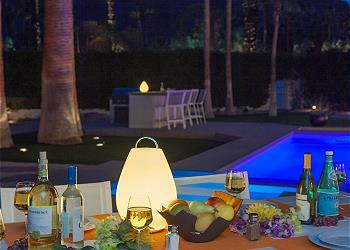 Those who enjoy a little excitement after their relaxation will want to check out Agua Caliente Casino Resort & Spa, a Native American casino that's renowned for its live shows and fun pool parties. 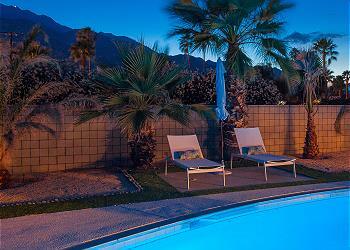 No matter what you choose, there's something fun for everyone in Palm Springs! 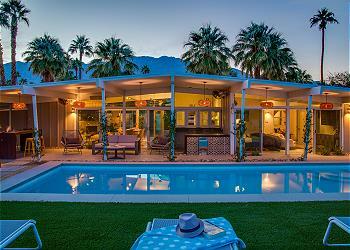 Glittering pools, bubbling hot tubs, and vast outdoor lounging areas abound in these gorgeous Palm Springs house rentals. 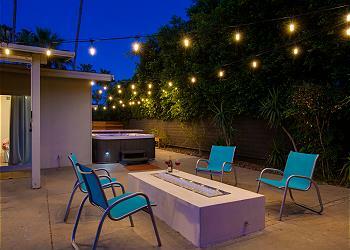 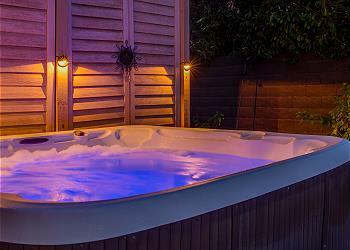 Go for a refreshing dip or relaxing soak day or night, then revel in the breezy comfort of a hammock in the shade, or the cozy warmth of outdoor fire pits and comfy patio seating nestled under twinkling lights. 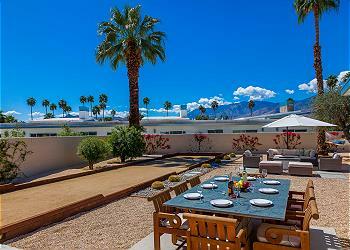 Encompassed in lush greenery and striking mountain views, these homes are truly oases in the desert. 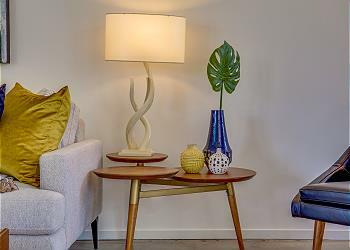 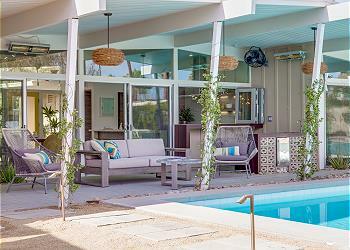 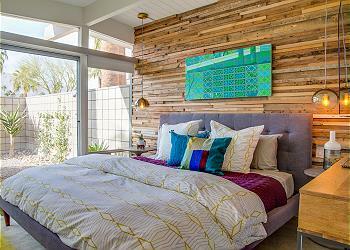 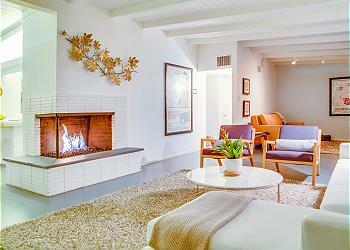 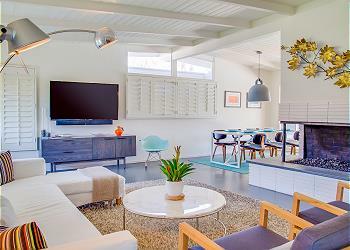 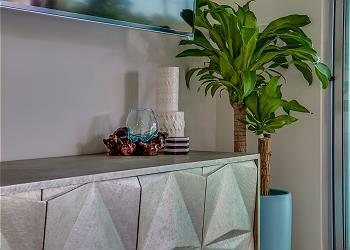 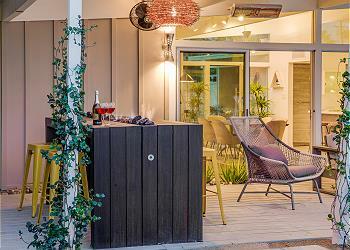 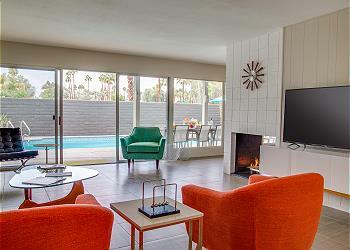 With interiors ranging from sleek and contemporary to decadent and bohemian, you’ll find that our Palm Springs vacation rentals invite luxury into every aspect of your stay. 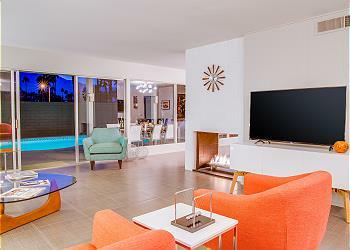 Bask in the heat of a toasty fireplace on a chilly desert night, or simply snuggle up on plush furnishings and watch your favorite show or movie on the cutting-edge flat screen television. 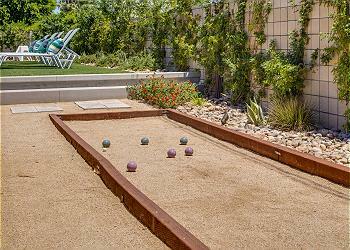 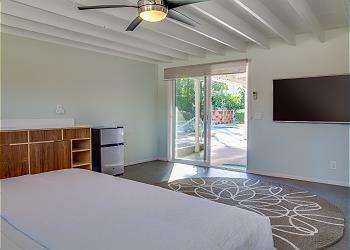 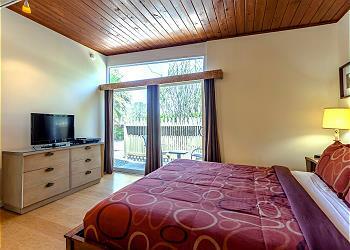 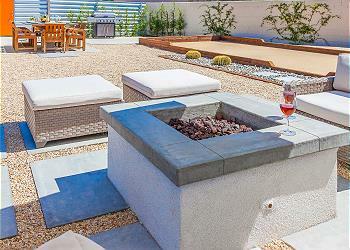 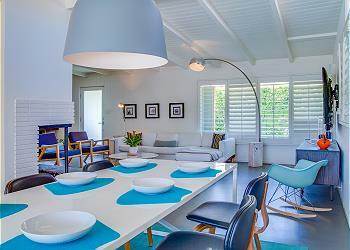 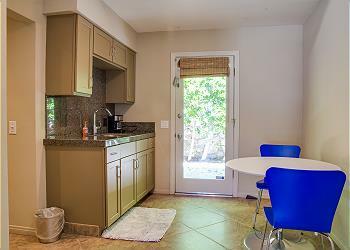 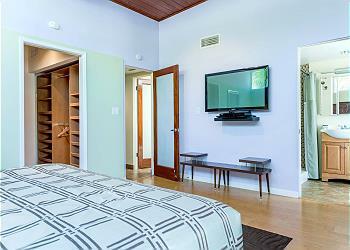 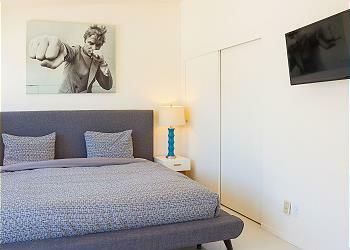 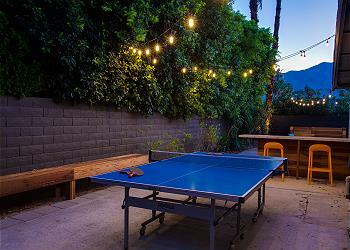 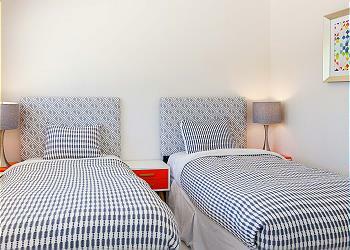 Several of our Palm Springs Luxury Vacation Rentals also include custom rooms, like game rooms with table tennis. 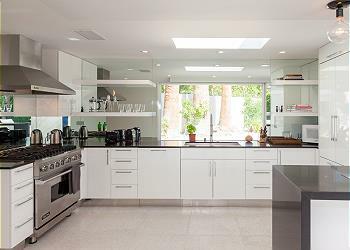 When you’re feeling peckish but want to stay in and enjoy the laid-back opulence of our Palm Springs rental homes, you can prepare a meal for your guests using the enormous gourmet kitchen. 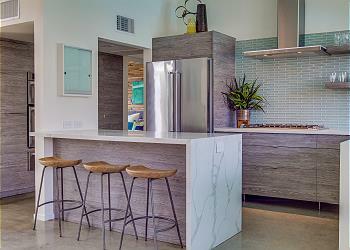 Complete with top-of-the-line stainless steel appliances, as well as custom countertops and backsplashes, these massive kitchens are ideal for serving up a memorable feast. 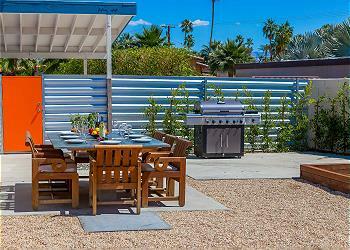 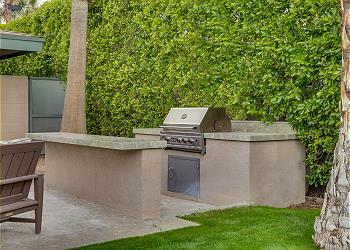 And if you’re more in the mood for grilling, you can utilize the barbeque grill and prep area outside. 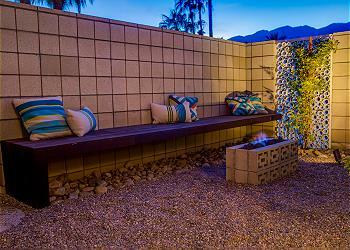 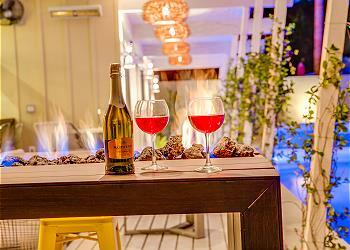 Dine on the patio for a serene desert al fresco experience. 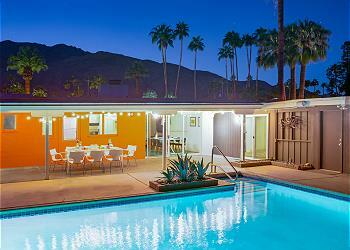 If cooking sounds like a chore, you can always sample the fine cuisine of Palm Springs. 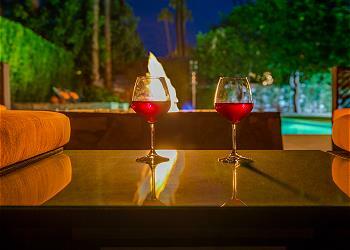 With renowned restaurants like Spencer’s Restaurant, Copley’s on Palm Canyon, or Miro’s Restaurant, all near our Palm Springs luxury rentals, you’re guaranteed to find something that will please your palate. 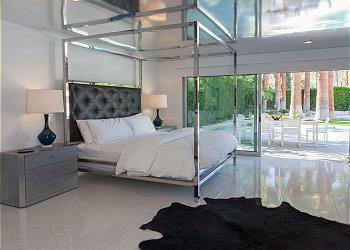 After a long day of enjoying the sunshine and sightseeing of Palm Springs, you can retreat to the sumptuous ease of an opulent bedroom with a soft bed and linens, a resort-caliber bathroom, and a flat screen television for downtime amusement in one of our Palm Springs luxury homes. 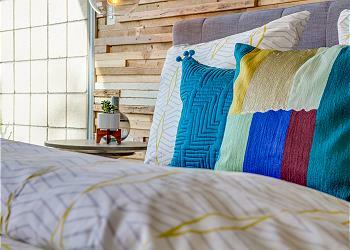 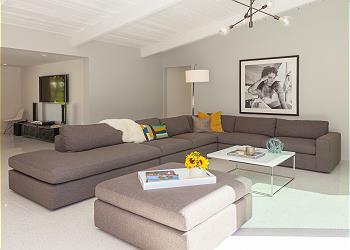 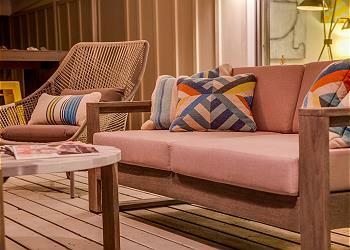 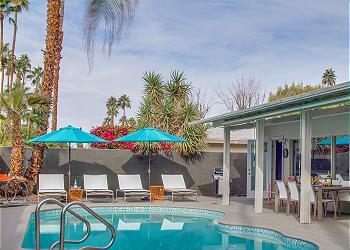 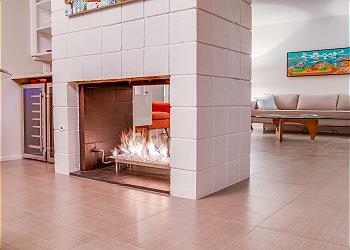 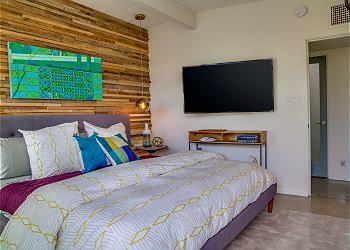 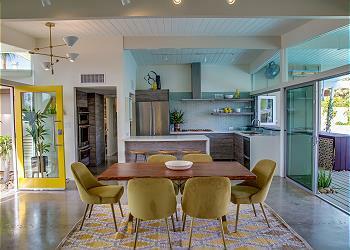 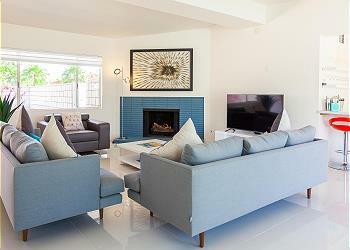 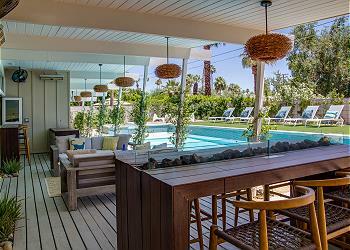 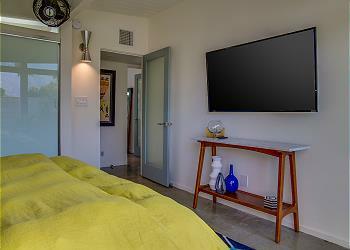 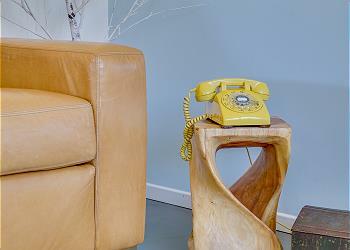 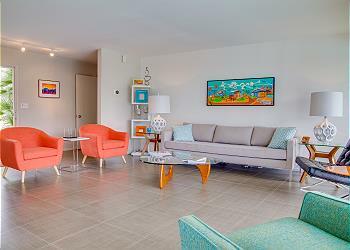 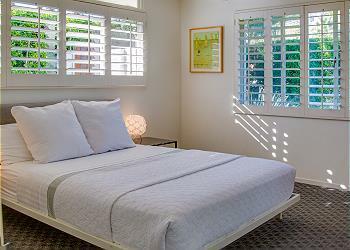 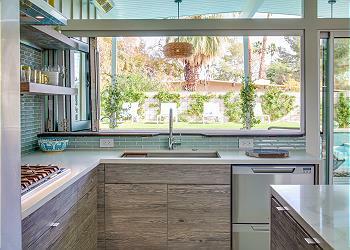 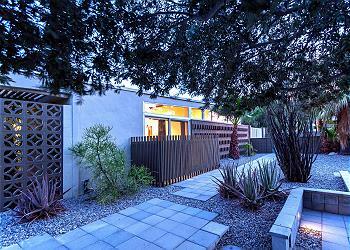 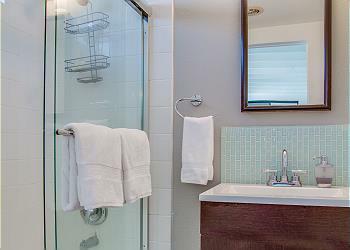 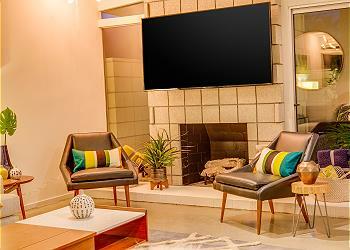 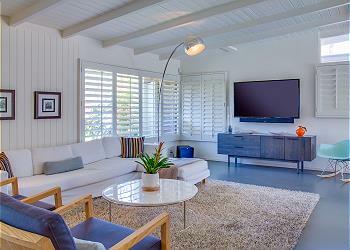 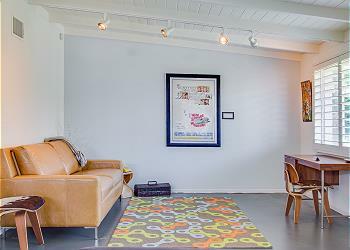 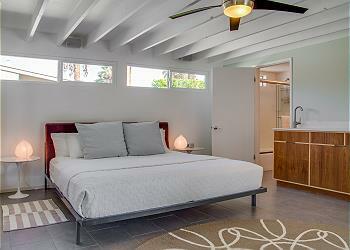 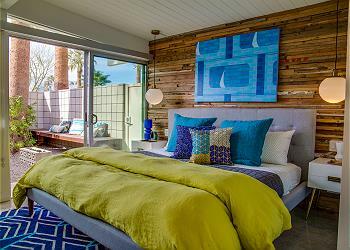 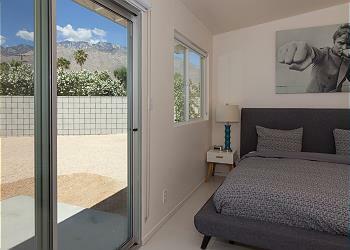 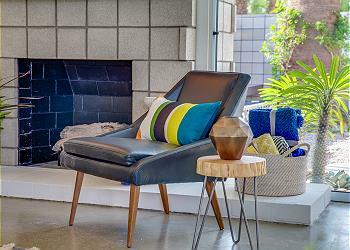 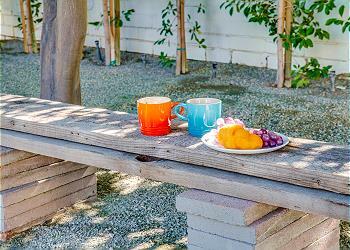 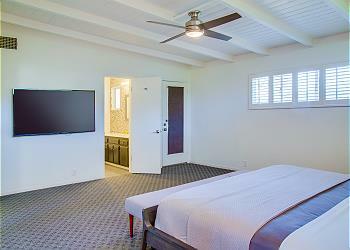 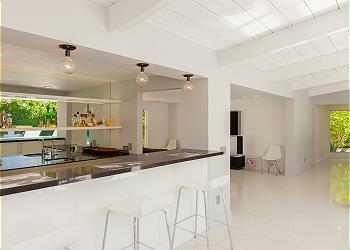 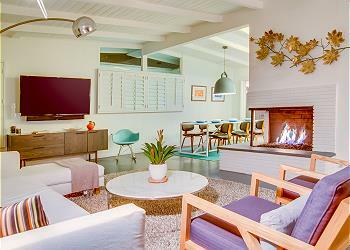 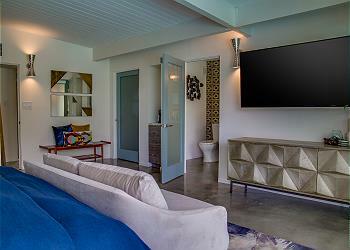 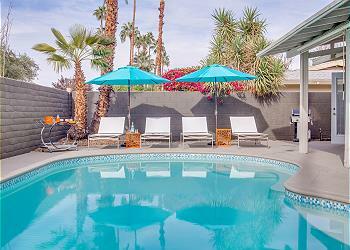 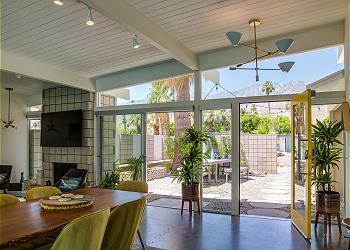 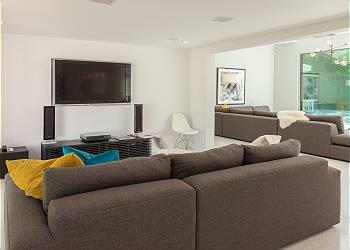 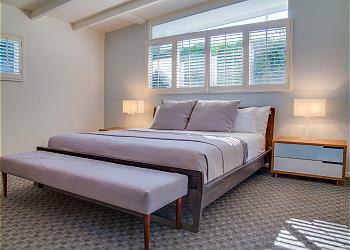 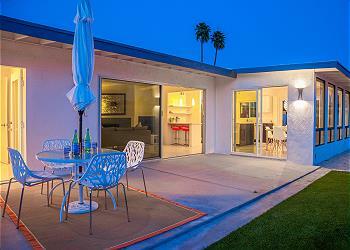 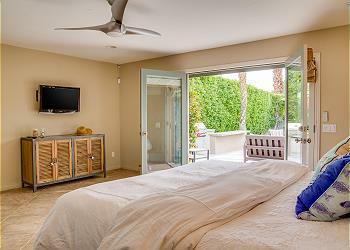 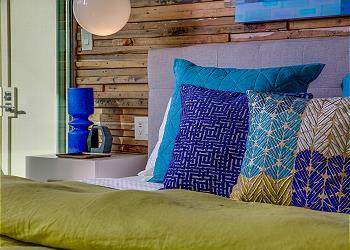 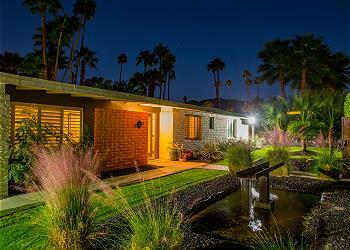 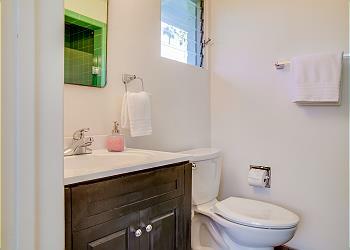 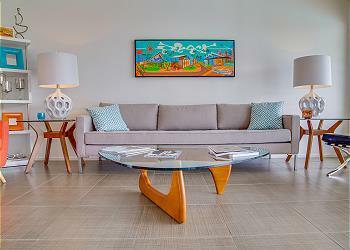 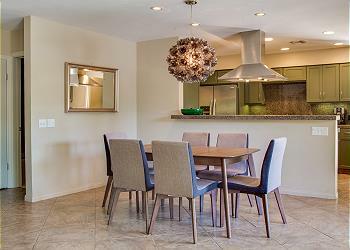 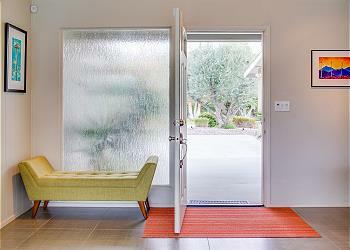 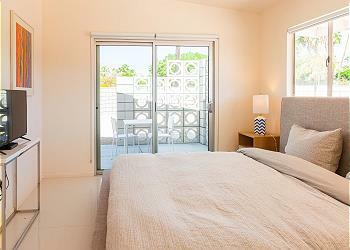 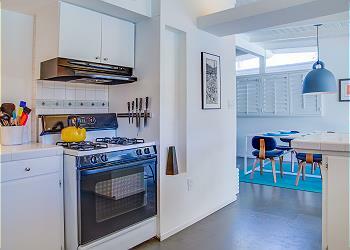 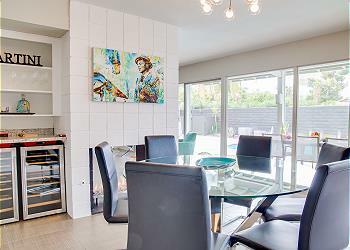 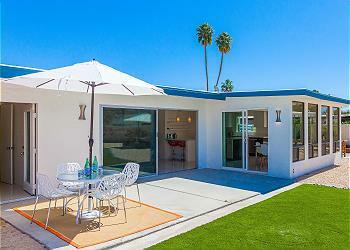 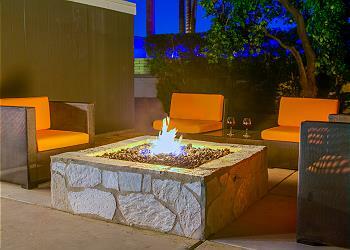 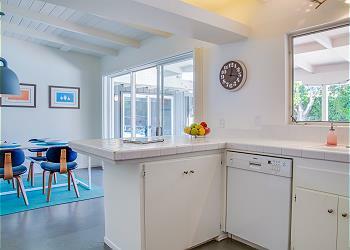 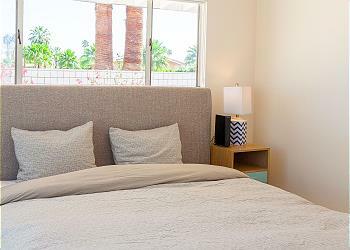 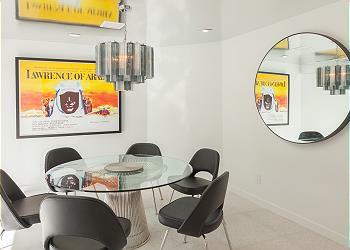 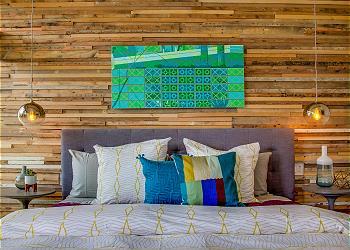 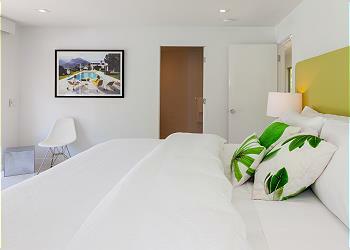 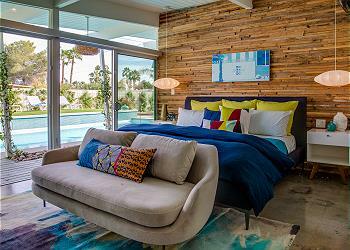 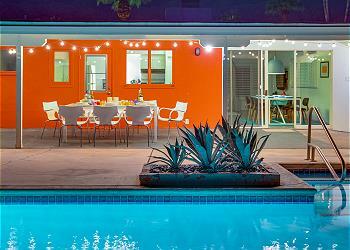 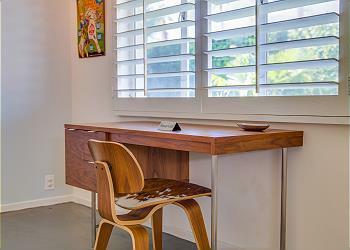 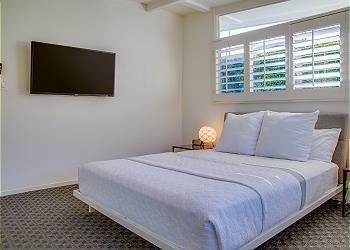 Palm Springs Luxury Rentals from Acme House Co. 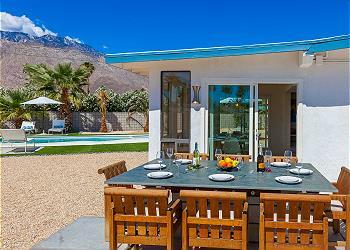 Contact our reservations team to learn more about what Palm Springs and the surrounding area have to offer for your vacation when you book your stay in one of our stunning Palm Springs rental homes!